There was plenty to be nervous about. My main concern- would they remember to stop the train at the station? I was waiting by the doors and holding my bike against the swaying as we made our approach to Altnabreac, one of the least used stations in Scotland. This is a request stop meaning that the train will only halt if a passenger has specifically asked to get off. I had shown my ticket to the guard and she wrote on a piece of paper, but that was hours ago. Would she forget? It would be so simple for the driver to speed past the station. This was normal. Stopping at Altnabreac was not normal. For the last 30 minutes we had trundled by a string of stations- Kildonan, Kinbrace, Forsinard- where nobody got on or off. Another thing to be nervous about was the isolation of this place. 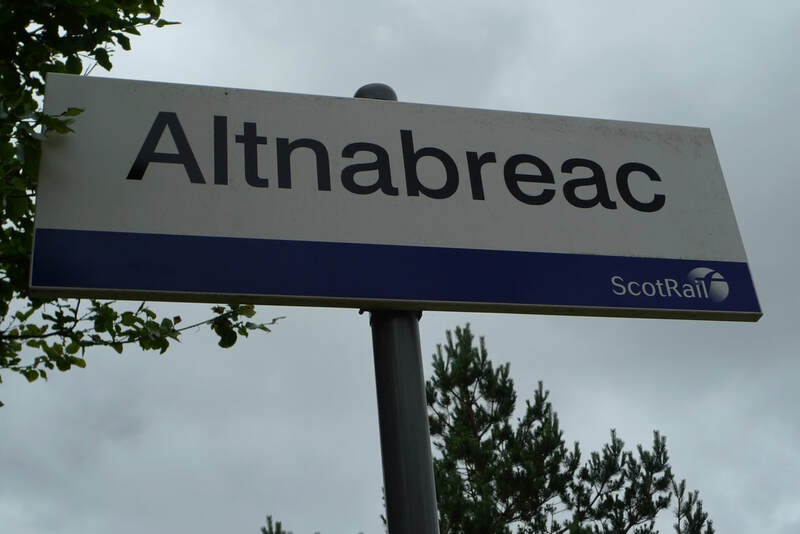 Altnabreac is one of very few stations in the country where you can be guaranteed to be the only person using it that day, or even that week. There is no main road to the station and no village nearby, so there is really no reason to come here. If the weather turns nasty there is no shelter. If I got hungry there is nowhere to buy a snack. If something broke on my bike there would be nobody to help. The nervousness collided with excitement to make my heart tumble – this is what adventure feels like. The desire to feel like this is what drew me to this place. When I discover a new place to visit I become completely fixated. I cannot stop dreaming about what it is like to be there. The only way to tackle the obsession is to go there. That’s how it was for me when I found out about Altnabreac. Months ago I had scanned a map of Scotland looking for remote roads to take my bike on. About 100 miles north of Inverness I found the perfect place. 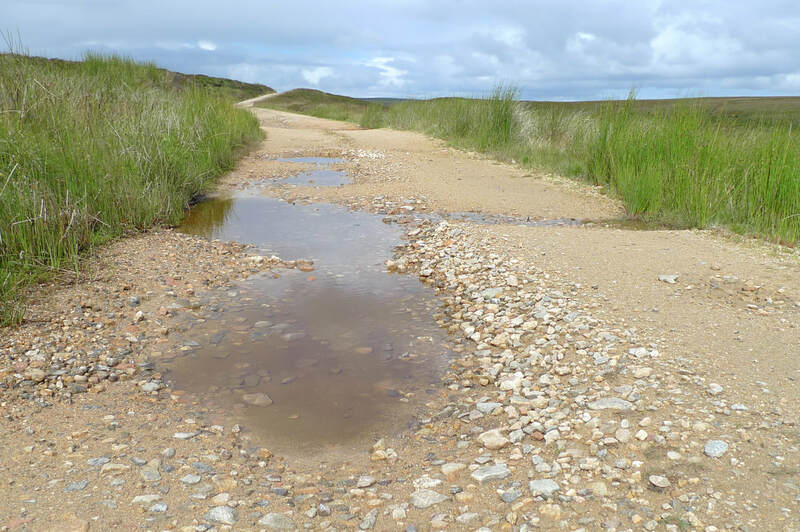 It was a road with no designation, a nothing road plonked in a world of peatland and wetland. Only a train station and one other place were marked on the map- Dalnawillan Lodge. I discovered that this was a closed Victorian-era shooting and fishing lodge. I pictured myself being the only human for miles and perhaps having a poke around the abandoned lodge. 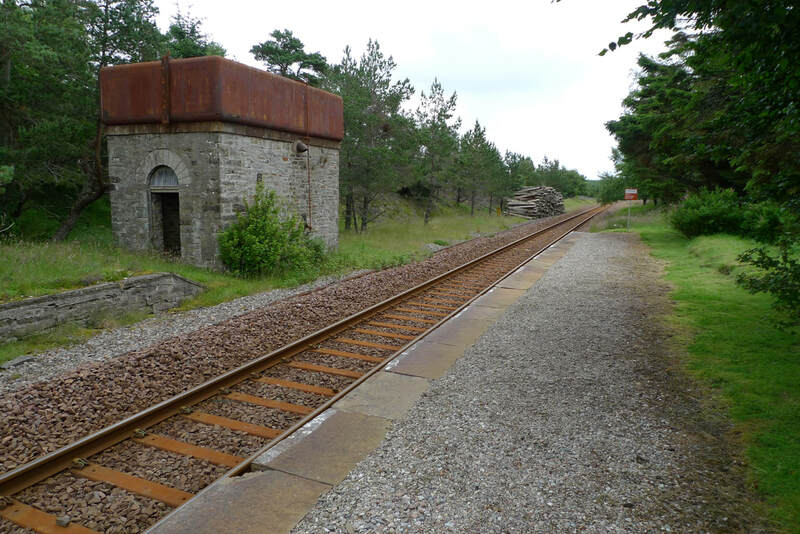 The most prominent landmark is a stone water tower that would have quenched the thirst of steam locomotives. The cottage on the platform is a private residence. The wooden passenger shelter looks like a garden shed and displays a plaque bestowing a Bronze Tidy Station Standard. Who was making the effort of the journey to drop enough litter to deny a gold award? Another sign stated the obvious: “There are no ticket issuing facilities at this station,” followed by a pointless request to “retain your ticket until you leave your destination station, as spot checks are in operation on this route.” I found it hard to believe that ticket inspectors would ever be sent to Altnabreac. At the bottom of the track there is a junction where I turned right and paused to take in the moody surroundings. 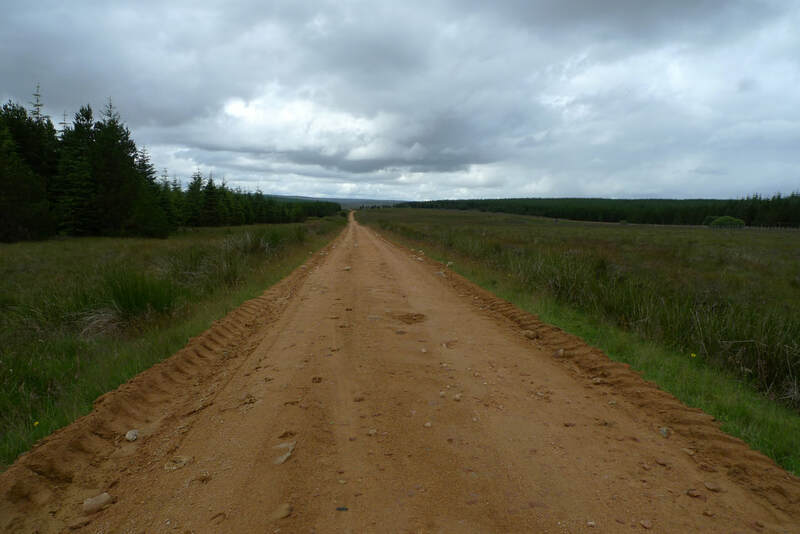 It was flat with an expanse of pine trees, boggy grass and a low lying grey sky. Not exactly material for next year’s tourist brochure cover shot. Caithness may have a reputation for such dull landscapes and this can put many people off visiting this part of Scotland, but for solitude it is hard to beat. The only sound was the buzzing of insects and it prompted me to keep pedaling to escape the pursuing midges. A little further on there is a substantial stone house. It was in good condition and a peek through a window revealed rooms totally empty apart from a lonely electric heater. The preoccupied bees, the daisies and wildflowers around the house made me picture long summer days spent writing and relaxing at a holiday home in the middle of nowhere. Then the road wiggles along the shores of a small and uninspiring loch, brought to life by the sudden and unexpected appearance of a Victorian concoction of tower, turrets, gables, chimney pots and striking zigzag patterned roof tiles. 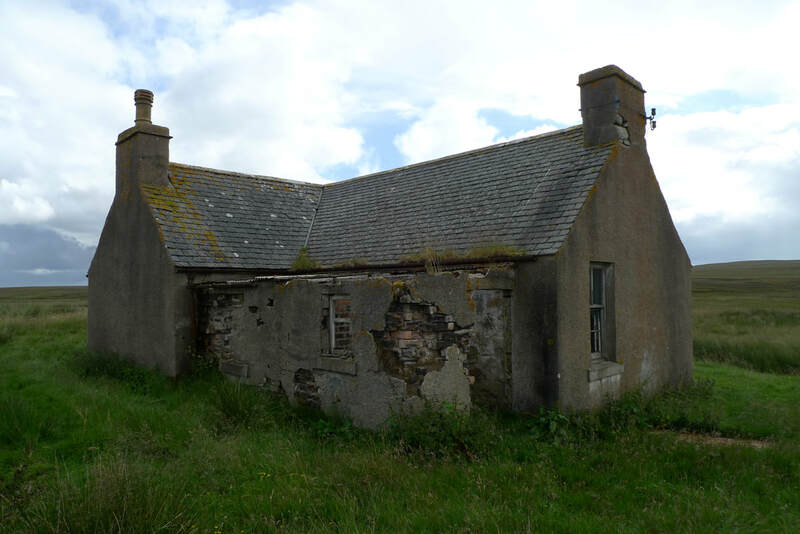 This was once the Loch Dhu Hotel, a hunting lodge built in 1895, now a private home. Until the 1970s you could get off the train in the foulest of weather and trudge 2 miles through the brown and barren moorland and be sure of a single malt, roaring fireplace and tips about what to shoot in the morning. As I left Loch Dhu I felt the need to revise my previous remarks about Caithness monotony. There were hills on the horizon. 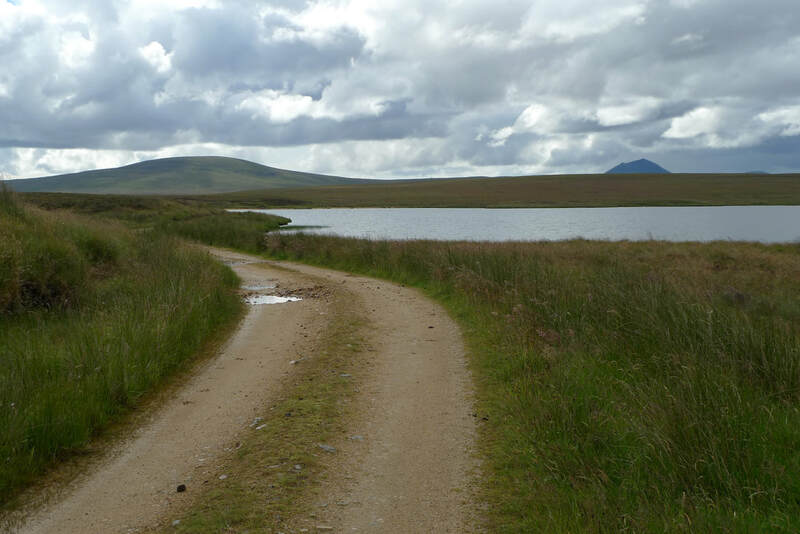 A long stretch of straight road leading to wavy hills and peaks with another loch at the bottom of a long downhill expanse of moorland grass. I could not go fast on the road because it was bumpy with lots of chunky stones and potholes. More like gouges. Some had substantial puddles that could be miniature lochs. It looked like someone with a temper tantrum had taken a hatchet to sections of the path. It was fun riding it. Dalnawillan Lodge was now before me. This is the place I had hoped to explore, but the ground floor is boarded up. I could see a toilet cistern through a first floor window and that was about all. The chimneys no longer smoked, the bay windows no longer provided views during breakfast and the bedrooms no longer had snug beds for weekend guests. There is a door open into a vestibule where sheep were sheltering. The rainfall seemed to begin on cue the minute I arrived. I had also disturbed the dogs in the kennels at the adjacent farm. Their barking was all the more accentuated and terrifying because it was the only noise. I had grown accustomed to the previous total silence, so that any sounds were a shock and appeared even louder. I felt vulnerable and wanted to get out of there. I could still hear the dogs barking even after I could no longer see the farm. A little further and the silence returned. I found an abandoned cottage, sitting all alone in an ocean of bog. I was determined that this would make up for my disappointment at not being able to see inside the lodge and I snuck in. I found a flagstone floor, fireplace and timber panelling. I wondered who had last stayed here and what conversations had taken place by the crackling and glowing fire. The sky was a complete mishmash. There were low lying grey and black clouds, some with streaks of rainfall spilling out of them. There were a few pink clouds and even white ones. There were patches of blue sky with tinges of sun- oases of summer among the storm. I crossed a causeway where the River Thurso empties into Loch More. Is that a beach? I could not believe my eyes! 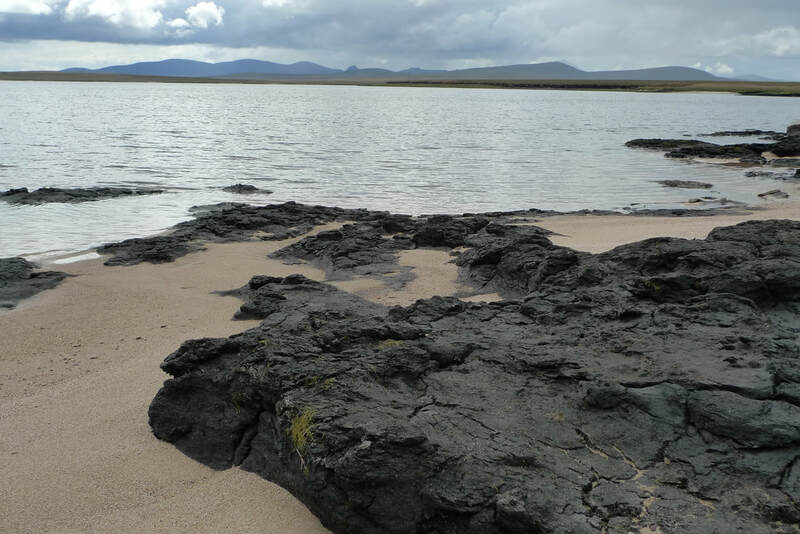 I was at an inland loch among a sparse landscape and it had a stretch of white sand. On the horizon there are hills that rise and fall like waves with a couple of ragged peaks thrown in. My feet crunching on the sand almost drowned out the only other sound- the trickle from the water. What appear to be black rocks on the beach is actually peat which was soft and bouncy when I stood on it. I loved this spot and wished I had more time to just sit here. On a warm and sunny day this could easily be that cover shot for the tourist brochure. Back in the saddle and a few minutes pedaling brought me out of the wilderness. I hit tarmac. A proper road. I felt sad that it was over. I wanted the adventure to last longer. I had loved being nowhere and seeing no other human for several hours. The wildness of the landscape had astonished me and intimidated me. I always felt aware of the risk coming to a place like this and having to rely on myself if anything went wrong, but this made it all the more exciting. Knowing that it is just me and the bicycle that can assure a safe path to food and shelter is a thrill that you rarely experience in normal life. Altnabreac is the place that I will come back to if I ever need to completely escape routine and get a bit of a buzz. 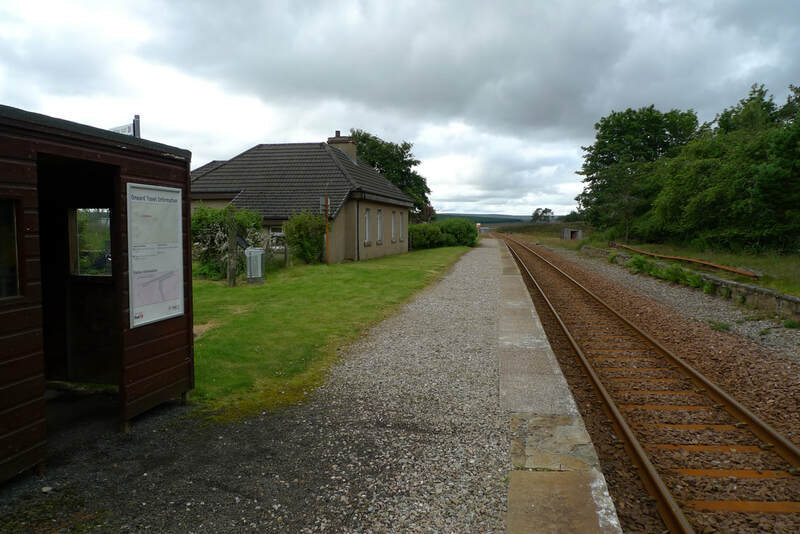 Altnabreac station is around 3 hours and 20 minutes by train from Inverness. There are only 4 trains per day. Only the two morning trains are of use as they allow enough cycling time before it gets dark. If you are travelling from central Scotland or further afield it may be necessary to spend a night in Inverness before setting out for Altnabreac. Edinburgh to Inverness takes 3.5 to 4 hours by train. London to Inverness is around 8 hours. It is only about 9.5 miles of cycling until reaching the tarmac road, but this is still an isolated spot with no settlements. Another 4.5 miles will take you to the village of Westerdale which is a scattering of cottages. Halkirk, 5 miles from here, is the best bet for facilities like shops and accommodation. I continued to Wick which is about another 18 miles. Alternatively you could do a round trip to Altnabreac station and get a train back to Inverness or on to Wick. At the causeway crossing the River Thurso emptying into Loch More take the road on the left. This heads back to Altnabreac station and is about 5 miles. The road is rough with gravel, stones and pot holes. This makes it slow going. It is better suited for mountain bikes, but I managed fine with my hybrid loaded up with panniers. It is mainly flat with no serious uphills. Nothing much. The reason to come here is for the wild open spaces and the solitude. There are some abandoned buildings to take a closer look at, such as the closed hunting lodge. There is nowhere unless you bring your own food and a tent. You must cycle out or take the train out. Halkirk is the best option for arranging accommodation if you want to stay somewhere in the area. I cycled to Wick to stay the night- you will be able to read about this in part two. Allt namBreac means "The stream of the trout". This perhaps explains why two hunting and fishing hotels were once located here- Loch Dhu Hotel and Dalnawillan Lodge. It began with staring at my map of Scotland for hours and hours. I often do this. Read about my joy of maps in my blog post and how I discovered Altnabreac.